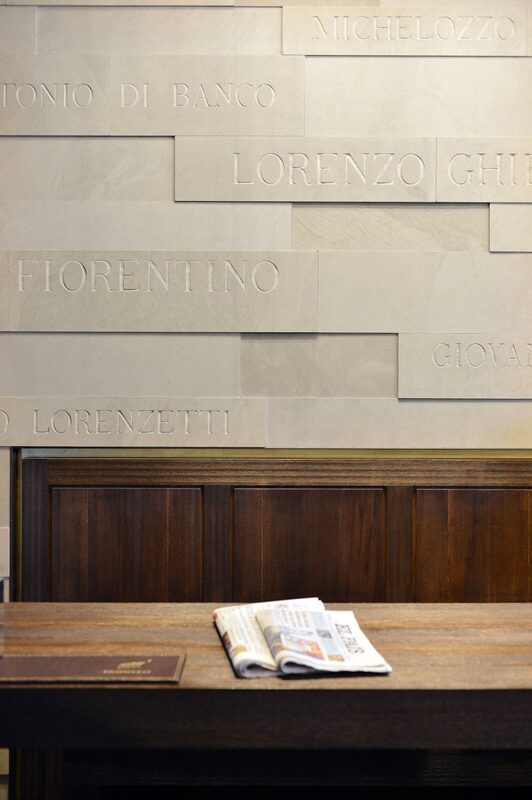 The extension of the Finisterrae restaurant by Mimesi 62 Architects, brings the city of Florence an elegant tribute to Italian culture and art. 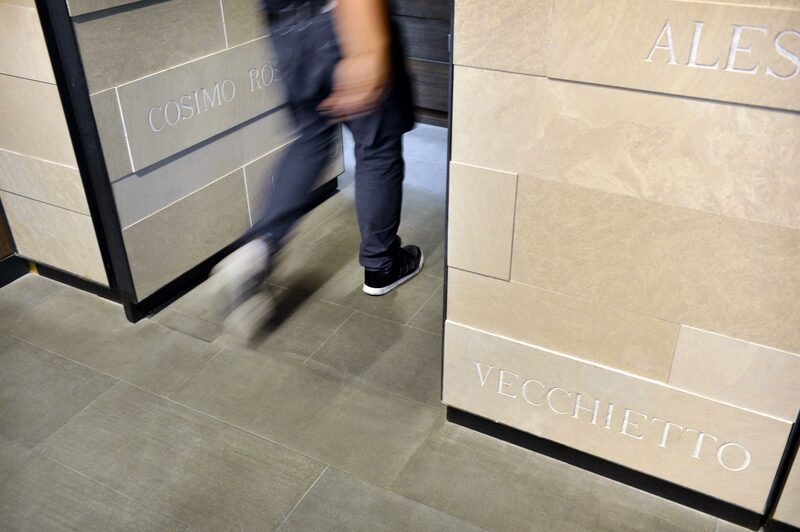 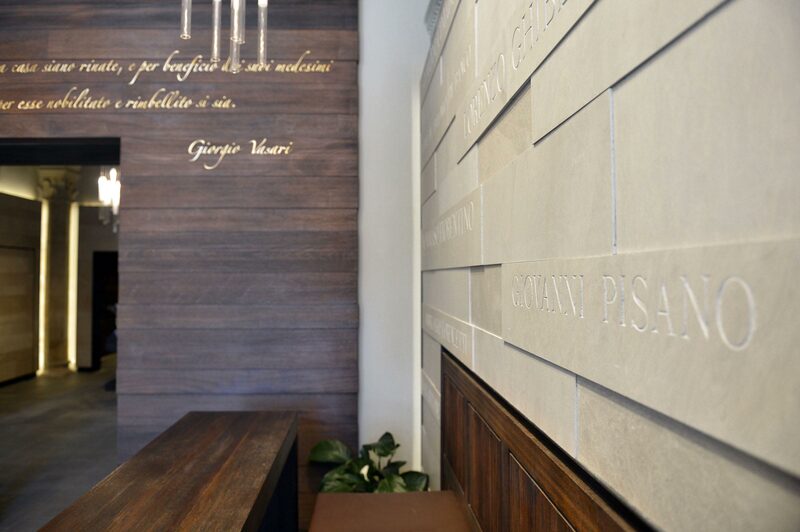 This solemn atmosphere surrounding the project, Santa Croce Square, give rise to a harmonious antithesis, thanks to the wise use of materials: Pietra Forte Fiorentina, Giallo Avorio and Rovere Scuro. 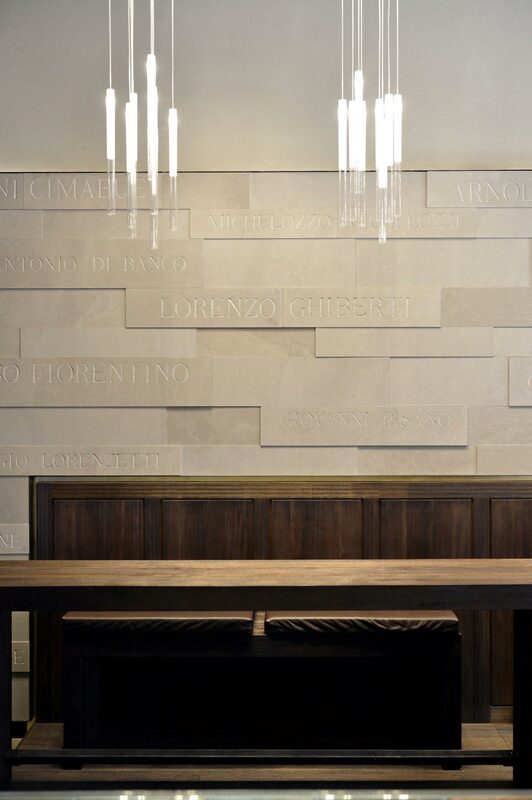 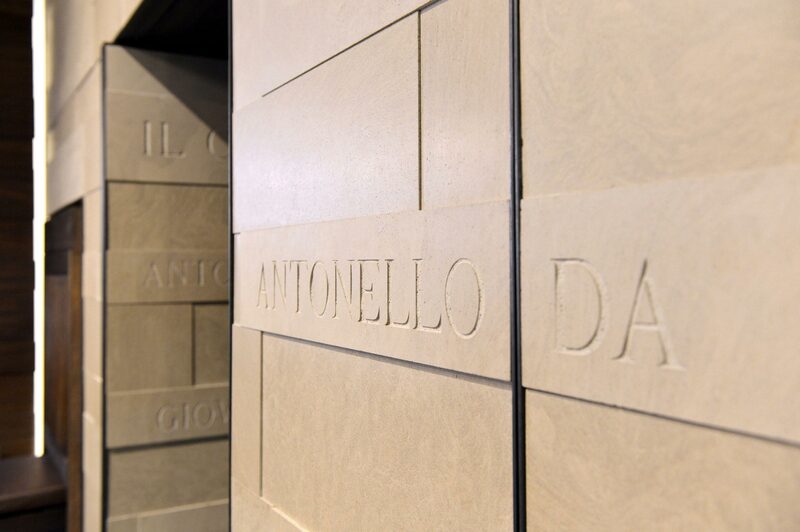 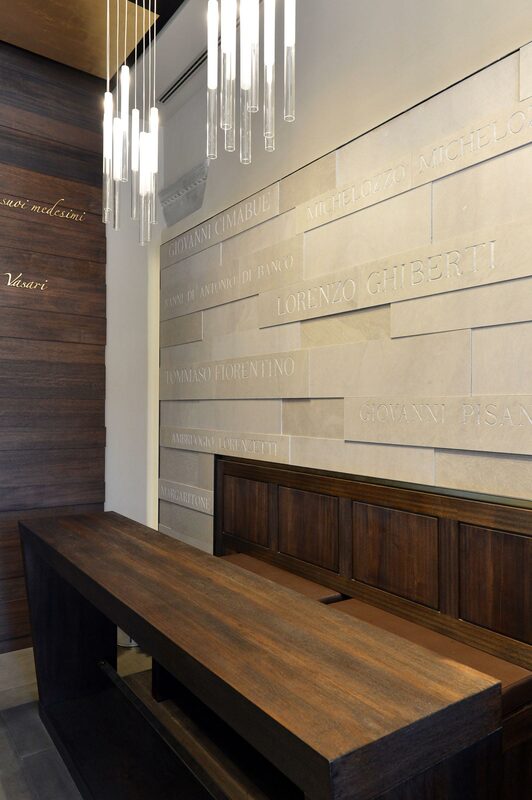 The play between horizontality and verticality is accentuated by the wall covering, made up of yellow ivory slabs with a silk finish, joined by metal edges and embellished with the names of men from the worlds of art and culture who made the town great. 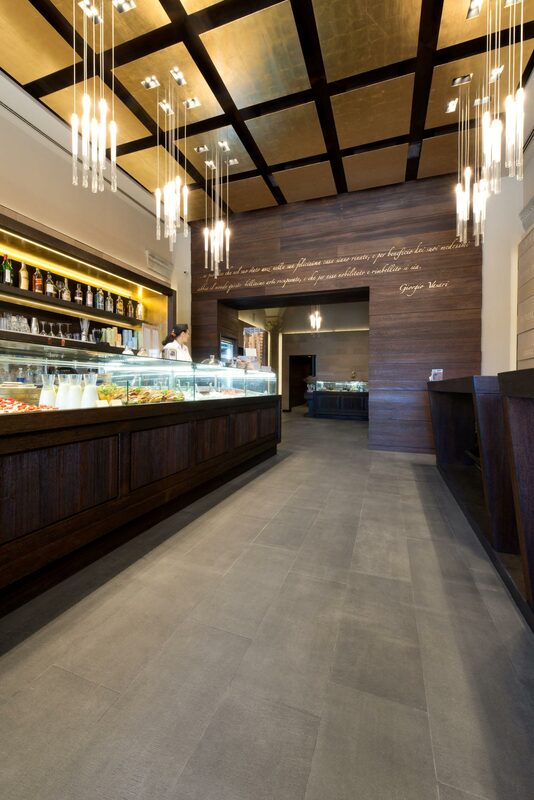 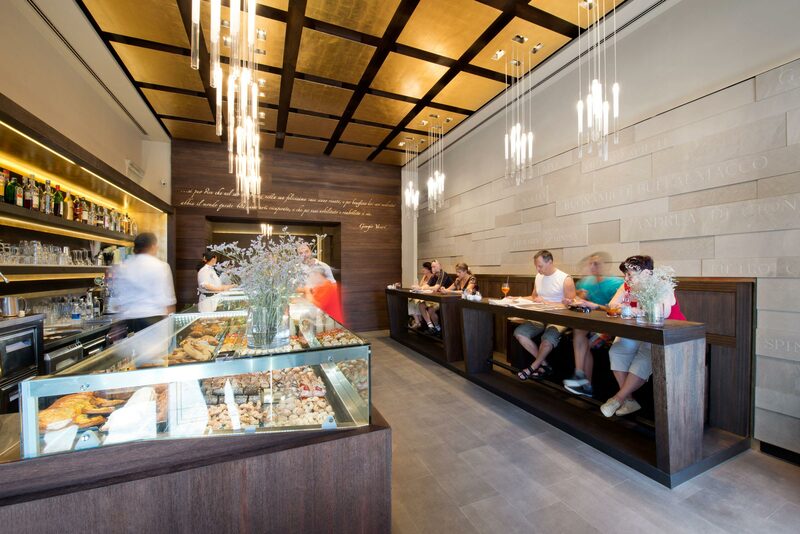 The Rovere Scuro floors is characterized by a rough finish and enhanced by artificial lighting, elegantly contrasting with the golden ceilings. 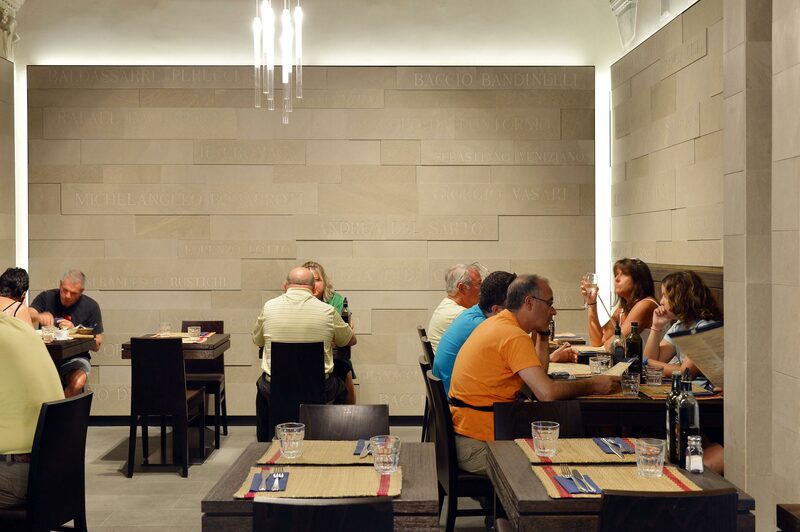 The vanishing points create a level surface, with no apparent interruptions. 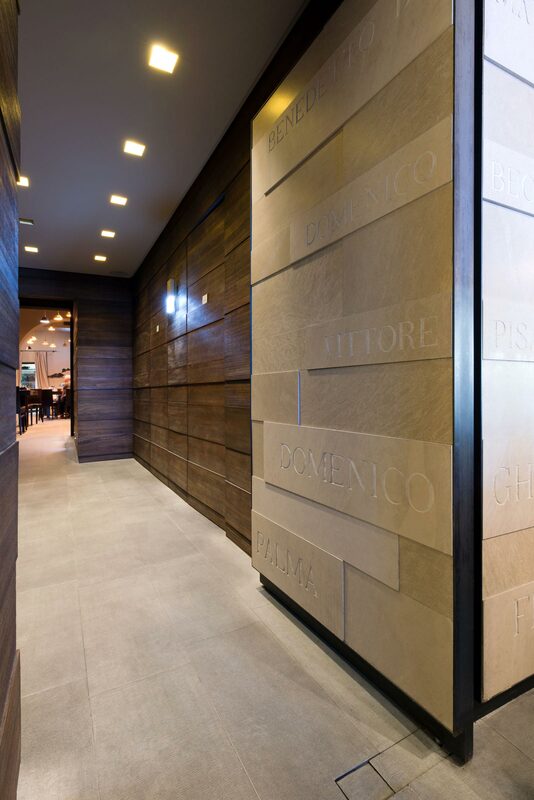 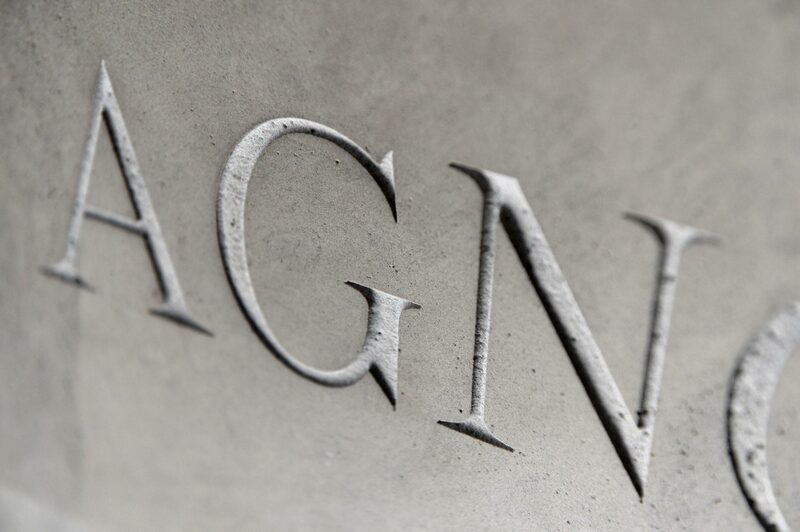 This choice makes the materials stand out in an even more evident way.